jeffrey campbell shoes. | escaped. OMG it's been too long since I last wear sky high heels. These days I have to run around the office blocks like a crazy woman; looking for people, getting documents, fax-ing stuff, printing out stuff - hence wearing pumps or stilettos are out of question. But really, I miss those days in Japan when I can wear these heels out and about cause no one cares what you wear and annoy the heck out of the boyfriend. I miss those days when I get to experiment all sorts of footwear i.e. neon colored pump, knee-high boots, etc. And these Jeffrey Campbell shoes reminds me a lot of those heels I see at Shibuya 109! 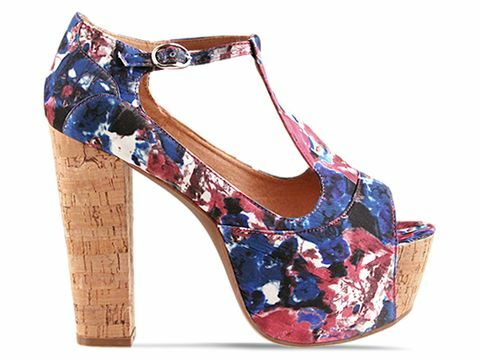 But yeah, let's face it - going out to get groceries on a Sunday wearing these sky-high heels are not exactly practical. The shoes I normally wear to the office is merely inches tall, and once my colleague pointed out "how can you walk in those" lol. No really, it's not even heels! Sometimes I wonder if I'm brave enough to take it to another level. 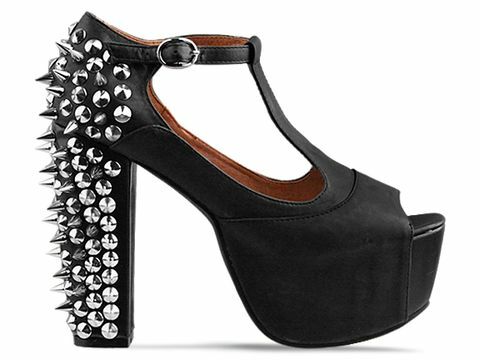 I'm not exactly an edgy person when it comes to heels (spikes aren't my thing) but these Jeffrey Campbell shoes are eye-candies.